The most important step in your Digital Learning in Education journey is making sure you have all of the information available to you to make the right decision for the school and it’s students. This page brings together digital learning resources and research and resources from a number of sources to allow you to see what the environment looks like, positive experiences and how these were achieved. 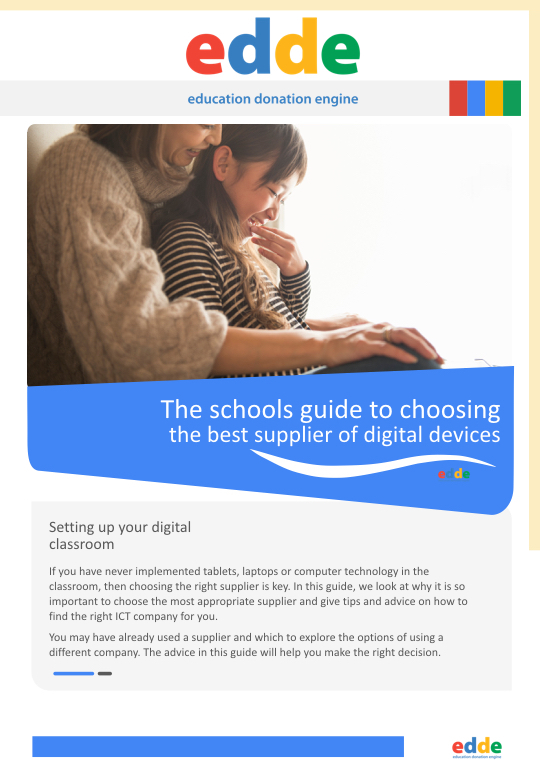 Reading some of this may give you clarity around the strategy you want to take moving forward for devices in your school. Techknowledge formally known as Tablets for Schools are working with hundreds of schools across the UK to get insights in to the uptake of digital devices for schools and where there has been positive outcomes. There a number of reports focusing on different areas from Device Uptake to Internet Safety. This is a key report that was put together by the independent think tank The Education Foundation. It goes through the uses of technology in the UK education sector giving overviews of a number of projects with focus on best practise. This will give any school a good background on what is happening in the UK and what can lead to a successful IT solution in their school.